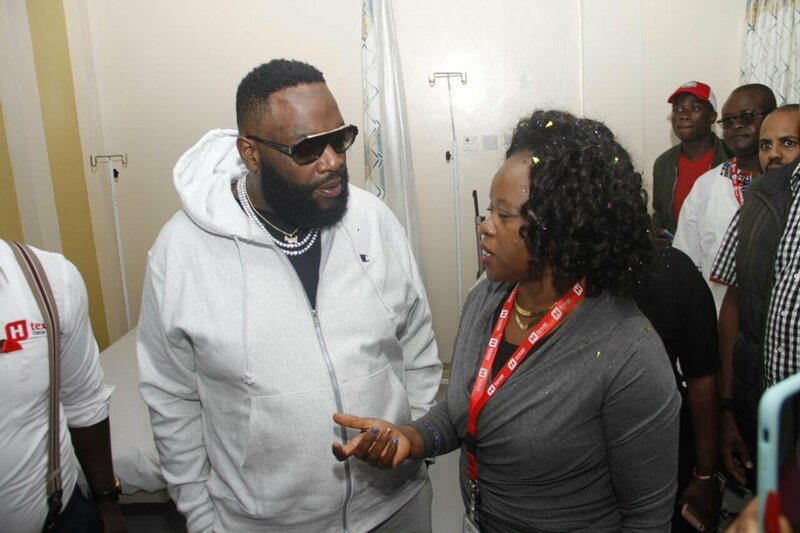 Having graced Kenya with his presence this past weekend; American rapper Rick Ross now joins the list of celebrities who have visited Texas cancer centre. So far the Texas cancer center is known for its best hospitality and best medical attention rates on radio and chemotherapy on cancer. 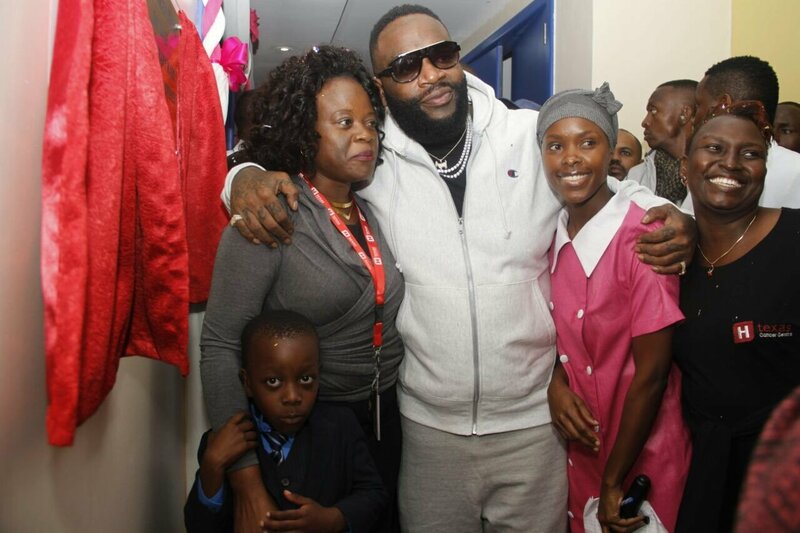 For this reason several renown celebrities like Diamond Platnumz,Omarion from the USA and Rick Ross have made their way to the center to show their support. 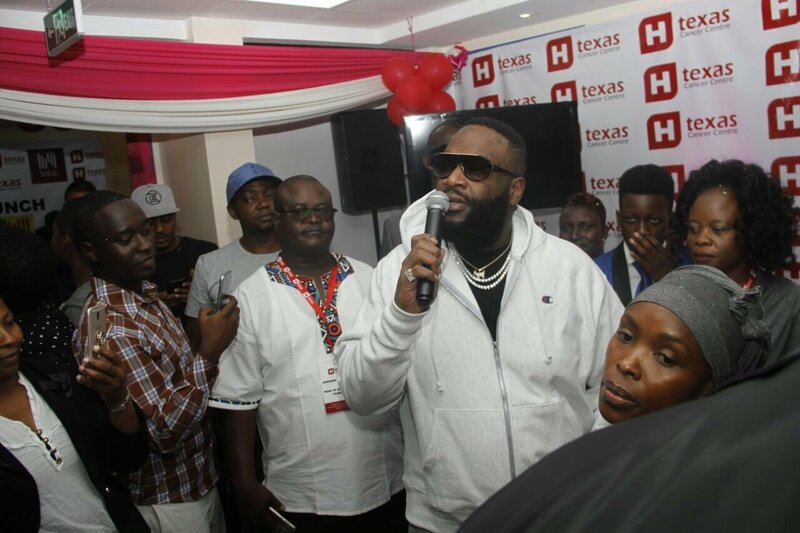 According to reports, Rick Ross delayed his flight for 30 minutes on 29th April to attend the launch at the Texas cancer centre before jetting out of the country. 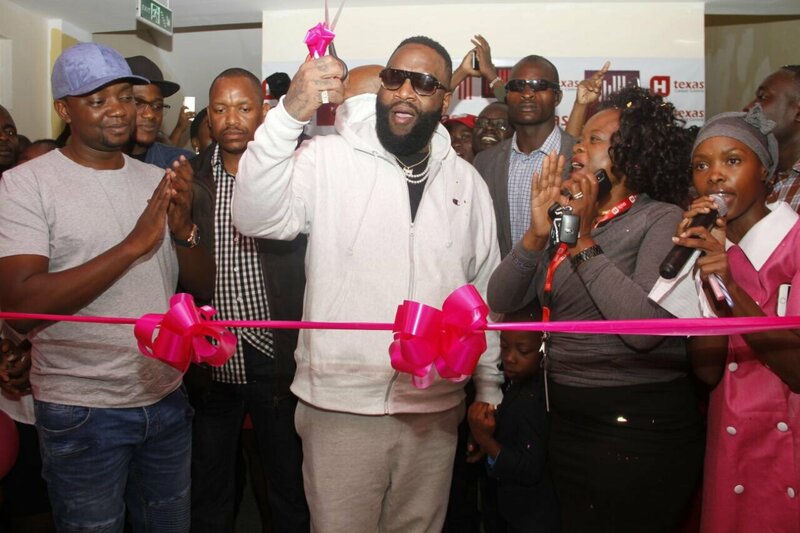 For his surprise visit, the American rapper was accompanied by Nrg boss and many others. 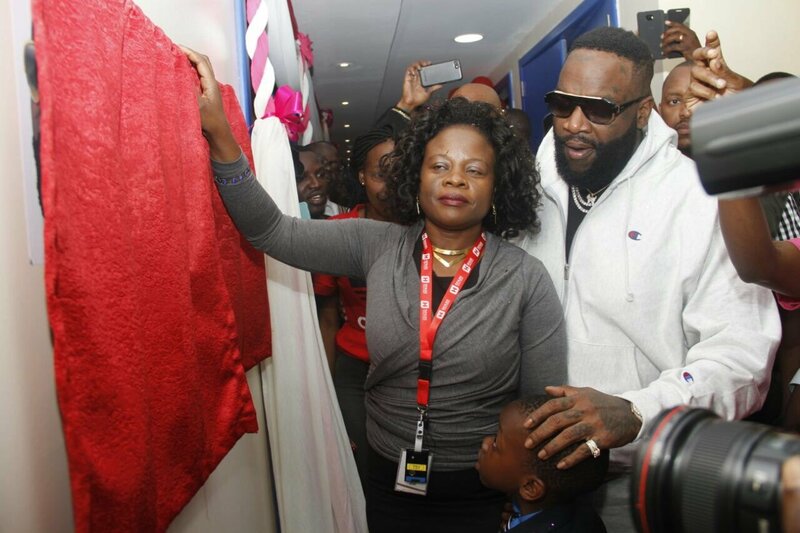 They were also joined by Texas cancer center’s ceo Dr.catherine Nyongesa who ensured they were given a warm welcome. 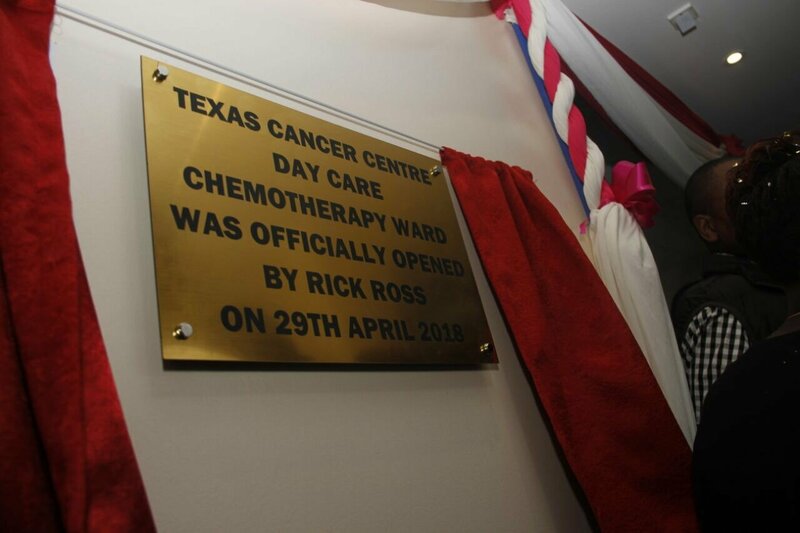 Rick Ross also happened to give a short speech targeting the fight against cancer. Just like the likes of Wahu,Rapdamu and other local celebrities, cancer is now being fought from all directions. Anyway away from that, the CEO Dr Catherine Nyongesa of the center had an opportunity to celebrate her birthday with the likes of Nameless and Kidum who also happened to graced her birthday party.